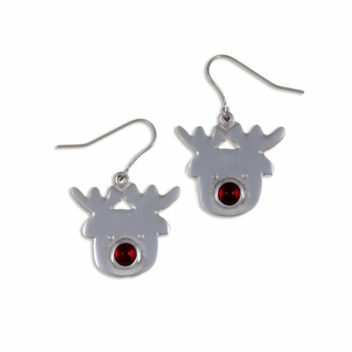 Rudolph earrings – Lovely Rudolph the red nosed reindeer drop earrings. 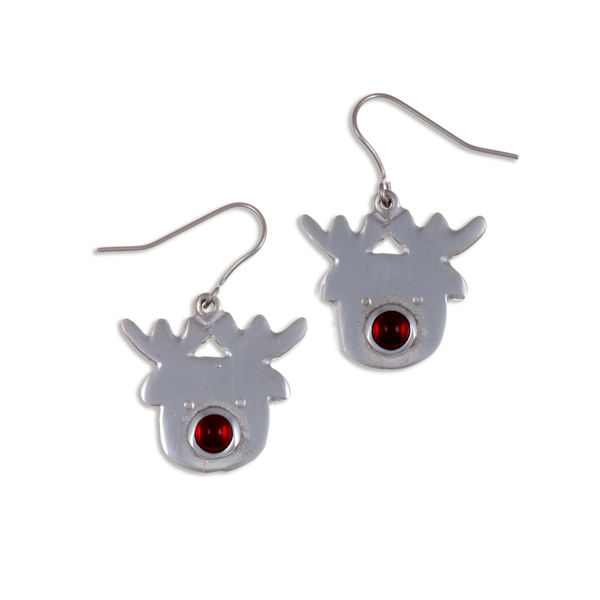 These high polished pewter reindeer faces are highlighted by a bright red glass bead nose. Merrily dangling on surgical steel hooks.